The Hockey Revolution or running around in circles like a …. I need now to turn to the advertisement by the FIH of the post that Mr.Weil applied for. Please search carefully for any mention of how hockey is to be played. 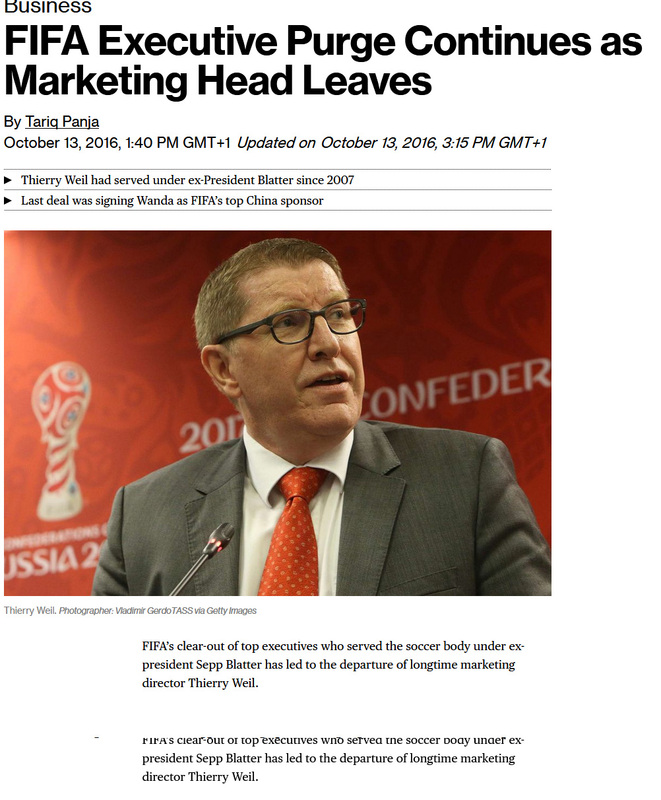 (I originally posted a picture of the ad but it was deleted – which is possibly an FIH reaction to this article (but I don’t know that). The ad did have a FIH logo on it so the pretense for the deletion (which would have required communication between the FIH and WordPress) may be a copyright issue. I have been unable to post the picture a second time, so I present instead the text of the ad – don’t think the deletion unbelievably petty, it’s standard behaviour, even not contacting me to let me know what they were doing is normal FIH communication. The FIH desperately need – or needed – a Communications Director, maybe they still do). With 137 member Nationa| Associations and millions of fans around the world, hockey enjoys a strong global proﬁle and following. You will become part of a talented team aiming to build upon this exposure with a mission to grow the game globally through targeted development work as part of F|H’s dynamic 10-year ‘Hockey Revolution’ strategy. With further game-changing developments in the pipeline. including the introduction of a new portfolio of events in 2019, it is certainly an exciting time to be joining the FIH. Responsible for planning, development and implementation of all the FlH’s marketing strategies, marketing communications and public relations activities both external and internal. Directs the efforts of the marketing and -communications staff and -coordinates at the strategic and tactical levels with the rest of the Leadership Team. – Responsible for creating, implementing and monitoring the FIH marketing and communications strategy to raise the proﬁle, engage and grow the sport. – Demonstrated experience, skills and knowledge of marketing, communications and digital at a strategic level. After that lengthy introduction I now turn to the release, on the 29th June 2018, of interview notes, from the FIH Press office, which prompted me to write this article. I don’t have much to say following this. Reflecting on his ﬁrst three months in charge, new International Hockey Federation (FIH) CEO Thierry Weil gives his ﬁrst interview in which he reﬂects on his move from the world’s largest international sports federation, FIFA, to head of a sport that has been working hard to innovate and grow in recent years. For Weil, the three words that drew him to the role of CEO were ‘FIH Pro League‘, and his views on this are outlined in the second part of this interview to be published shortly. However, not surprisingly for someone brought up in the world of football, while the FIH Pro League is a thrilling initiative, it is the World Cup that remains the number one event. Reflecting on the Hockey Revolution, how dramatic will it be under its new leader? cities, so that people can just turn up and watch the sport as they are walking around town. These initiatives will help increase the fan base and participation rates, which in turn will have a positive knock-on effect on FlH’s ability to ﬁnd commercial partners. To back up these ambitions, in 2018 and 2019 FIH will invest more than ever in its dynamic broadcast and content strategy, with the aim of raising the quality of coverage. This will include features that will help spectators understand the game better. Three months in and Weil is a huge fan of the sport. He says hockey has great potential to grow, develop and lead the way in innovation. At its heart is the fact that it is both a team sport and a sport that is enjoyed and played equally by men and women, of all ages and ability. “Hockey has already taken a big step forwards over the past few years,‘ says Weil, and, while it might not be a revolution in the strictest sense of the word, he is excited to be leading hockey into the brave new world of commercial sport. 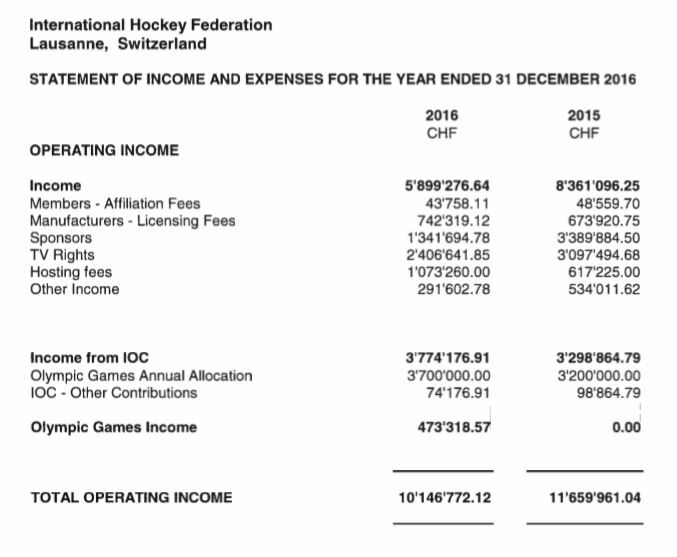 The FIH obviously hired Mr.Thierry Wield to obtain money, particularly Tournament sponsorship money, for the FIH (that is very clear from the job description). With a total operating income of around $11,000,000 the FIH Executive would ‘prostrate themselves on the ground’ before a man they thought might be able to perhaps double that amount, and he is a man who is used to securing large sum long term sponsorships. But it bears repeating that FIFA had a $500,000,000 sponsorship shortfall in the last four year cycle and an operating loss of $122,000,000 in 2015. 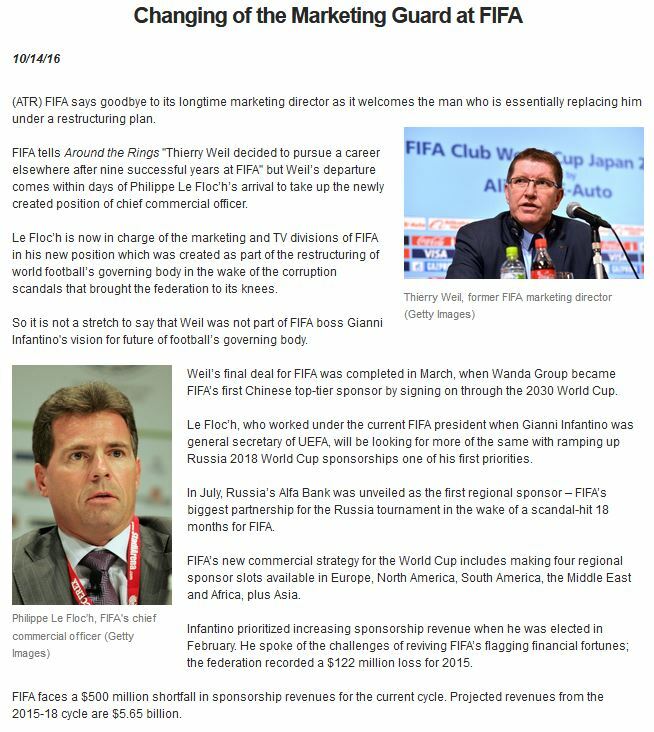 We are not told in the articles what the total sponsorship revenue of FIFA was in that or any other, year. What Thierry Wield is not, and this is also very clear, is somebody who knows anything at all about field hockey. His remarks about the passion participants have for the game and the fact that it is played over a great age range by both genders, are the level of research that could be done in a few hours on Google or Wikipedia by an elementary school pupil writing a project essay. It is likely that prior to his application to be CEO of the FIH he had never seen a hockey match played. Yet he appears to want to be involved in making hockey simple to play (even though that is not part of his job description) obviously other people must undertake this task if it is considered necessary – but who?. Is it necessary or desirable to make hockey easier to play? I don’t think this is a priority, like tennis, hockey requires a basic level of competence which players must work hard to achieve if they are to enjoy playing the game. The development of a high level of skill is an ideal that is aspired to by younger players (there are ‘stars’ to emulate), not an impediment that stops them taking up the game. Players who do develop the necessary skills are proud of their achievements and want constantly to improve upon them. The presence of these skills is one of the main reasons people follow hockey. Thierry Wield has picked up the ‘Hockey Revolution’ jargon but has no more idea what it means than any of the rest of us who have been subjected to the term have. I have absolutely no idea what it means, other than going around in circles. I must profess to ignorance but other than ‘Back to hockey’, the development of ‘Walking hockey’ and ‘One Thousand Hockey Legs’ (the latter two both initiatives by individuals), I can’t point to a new example of the ‘Hockey Revolution’ in action that the FIH could be proud of or one that is creating revenue. The Pro Hockey League is floundering and Hockey 5’s is not yet established (will Hockey 5’s really be the face that hockey presents to the world at future Olympic Games? I believe that any suggestion that soccer be presented as a five-a-side game at future Olympics would ‘take off’ like a lead balloon and hockey should reject it for the same reasons soccer would). Five-a-side is a useful tool for introducing the game at school level (it’s economical because it uses small pitches and that makes it viable /attractive for the wide-scale introduction of hockey into schools. particularly State schools, which is something that desperately needs to be done) but I would not like to see 5-a-side replacing the present full pitch game. How do we make the game easier to understand? Simple: ensure that it is played to the Rules of Hockey published by the FIH Rules Committee, while also ensuring that those Rules are consistent and sensible – but that is were I came in about twenty-five years ago. Describing the task is easy, achieving it is proving very difficult. Confirmation bias and perseverance of opinion despite conflicting facts. 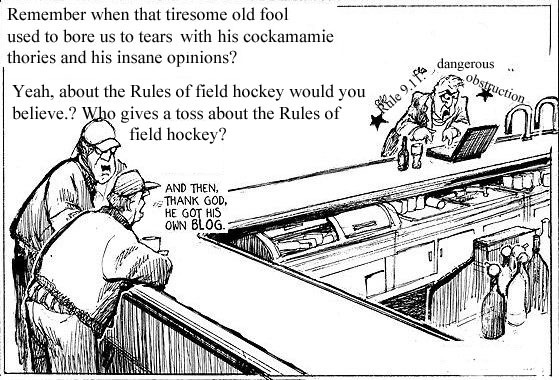 I liked to believe that I was communicating with hockey participants when I wrote blog articles in which I explained how application of the Rules of Hockey was different from what was given in the FIH published Rules, and I also believed that by communicating this fact, change to much of what is now common practice could be brought about. I was communicating, but not in a way that would put into effect the changes, I was able to demonstrate with facts, what changes needed to be made to align the practice with the Rules. In fact pretty much the opposite has happened. Those who held views I demonstrated, by reference to the Rules (facts) and video (showing umpires doing the opposite) to be in error, became even more entrenched in their views and in their turn they attacked me, via social media, as an isolate with either outmoded or bizarrely advanced ideas (suggested rewrites) about the Rules to which the game should be played . The effect of this was to isolate me, I was (am) called confrontational, argumentative, unyielding etc.etc. and I came to believe I am when writing, although, in ‘real life’, I am an easy going and sociable person. This attacking naturally caused me to become confrontational and argumentative in my writing (or more so) and thus, not a poor communicator (my messages are clear enough), but an ineffective one. The reaction to anything I have written in the last few years has been, by enlarge, (I have a few supporters) to disregard it simply because I and not somebody else wrote it* – very few are taking any notice of the changes suggested, certainly not sufficient numbers to put them into effect. * I vividly recall that Ric Charlesworth wrote an article, prior to the Athens Olympics (where he was coach to the Australian women’s team), on the raised flick shot at the goal, in which he asked for clarity from the FIH about dangerous play. It was widely acclaimed to be the writing of a brilliant innovative thinker and he got widespread support, there was even a Rule change, which lasted for a couple of years before fading away under ‘interpretation’. What he wrote was almost word for word (this was pointed out to me by someone who kindly sent me a copy of his article) what I had been writing on the same subject for several years before that. All I got for my efforts was abuse. Those who skim what I have written (they admit they do not properly read anything I write), disagree with it pretty much as a reflex or even in advance of skimming, without explanation (without offering any tangible reason for their disagreement) and without offering any argument against my proposals or in support of an alternative change. They have no ideas of their own to offer (even when they accept that some change is necessary): that is very frustrating. An article by Elizabeth Kolbert. Elizabeth Kolbert has been a staff writer at The New Yorker since 1999. She won the 2015 Pulitzer Prize for general nonfiction for the Sixth Extinction: An Unnatural History. In 1975 , researchers at Stanford invited a group of undergraduates to take part in a study about suicide. They were presented With pairs of suicide notes. In each pair, one note had been composed by a random individual, the other by a person Who had subsequently taken his own life. The students were then asked to distinguish between the genuine notes and the fake ones. Some students discovered that they had a genius for the task. Out of twenty-ﬁve pairs of notes, they correctly identified the real one twenty-four times.Others discovered that they Were hopeless. They identified the real note in only ten instances. As is often the case With psychological studies, the Whole setup was a put-on.Though half the notes were indeed genuine—they’d been obtained from the Los Angeles County coroner’s oﬂice—the scores Were ﬁctitious. The students Who’d been told they Were almost always right Were, on average, no more discerning than those Who had been told they Were mostly Wrong. A few years later, a new set of Stanford students Was recruited for a related study. The students were handed packets of information about a pair of ﬁreﬁghters, Frank K. and George H. Frank’s bio noted that, among other things, he had a baby daughter and he liked to scuba dive. George had a small son and played golf. The packets also included the men’s responses on what the researchers called the Risky-Conservative Choice Test. According to one version of the packet, Frank was a successful ﬁreﬁghter who, on the test, almost always went with the safest option. In the other version, Frank also chose the safest option, but he was a lousy ﬁreﬁghter who’d been put “on report” by his supervisors several times. Once again, midway through the study, the students were informed that they’d been misled, and that the information they’d received was entirely ﬁctitious. The students were then asked to describe their own beliefs. What sort of attitude toward risk did they think a successful ﬁreﬁghter would have? The students who’d received the ﬁrst packet thought that he would avoid it. The students in the second group thought he’d embrace it. Even after the evidence “for their beliefs has been totally refuted, people fail to make appropriate revisions in those beliefs,” the researchers noted. In this case,the failure was “particularly impressive,” since two data points would never have been enough information to generalize from. The Stanford studies became famous. Coming from a group of academics in the nineteen-seventies, the contention that people can’t think straight was shocking. It isn’t any longer. Thousands of subsequent experiments have conﬁrmed (and elaborated on) this ﬁnding. As everyone Who’s followed the research or even occasionally picked up a copy of Psychology Today knows,any graduate student with a clipboard can demonstrate that reasonable-seeming people are often totally irrational. Rarely has this insight seemed more relevant than it does right now. Still, an essential puzzle remains: How did We come to be this way? Stripped of a lot of what might be called cognitive-science-ese, Mercier and Sperber’s argument runs, more or less, as follows: Humans’ biggest advantage over other species is our ability to cooperate. Cooperation is dificult to establish and almost as difficult to sustain. For any individual, freeloading is always the best course of action. Reason developed not to enable us to solve abstract, logical problems or even to help us draw conclusions from unfamiliar data; rather, it developed to resolve the problems posed by living in collaborative groups. Consider what’s become known as “conﬁrmation bias,” the tendency people have to embrace information that supports their beliefs and reject information that contradicts them. Of the many forms of faulty thinking that have been identified, conﬁrmation bias is among the best catalogued; it’s the subject of entire textbooks’ worth of experiments. One of the most famous of these was conducted, again, at Stanford. For this experiment, researchers rounded up a group of students who had opposing opinions about capital punishment. Half the students were in favor of it and thought that it deterred crime; the other half Were against it and thought that it had no effect on crime. If reason is designed to generate sound judgments, then it’s hard to conceive of a more serious design ﬂaw than conﬁrmation bias. Imagine, Mercier and Sperber suggest, a mouse that thinks the way we do. Such a mouse, “bent on conﬁrming its belief that there are no cats around,” would soon be dinner. To the extent that conﬁrmation bias leads people to dismiss evidence of new or underappreciated threats—the human equivalent of the cat around the corner—it’s a trait that should have been selected against. The fact that both we and it survive, Mercier and Sperber argue, proves that it must have some adaptive function, and that function, they maintain, is related to our “hypersociability.” Mercier and Sperber prefer the term “myside bias.” Humans, they point out, aren’t randomly credulous. Presented with someone else’s argument, we’re quite adept at spotting the weaknesses. Almost invariably, the positions we’re blind about are our own. A recent experiment performed by Mercier and some European colleagues neatly demonstrates this asymmetry. Participants were asked to answer a series of simple reasoning problems. They were then asked to explain their responses,and were given a chance to modify them if they identified mistakes. The majority were satisfied with their original choices; fewer than ﬁfteen per cent changed their minds in step two. This lopsidedness, according to Mercier and Sperber, reﬂects the task that reason evolved to perform, which is to prevent us from getting screwed by the other members of our group. Living in small bands of hunter-gatherers, our ancestors were primarily concerned with their social standing, and with making sure that they weren’t the ones risking their lives on the hunt while others loafed around in the cave. There was little advantage in reasoning clearly, while much was to be gained from winning arguments. Virtually everyone in the United States, and indeed throughout the developed world, is familiar with toilets. A typical flush toilet has a ceramic bowl ﬁlled with water. When the handle is depressed, or the button pushed, the water and everything that’s been deposited in it gets sucked into a pipe and from there into the sewage system. But how does this actually happen? Sloman and Fernbach see this effect, which they call the “illusion of explanatory depth,” just about everywhere. People believe that they know way more than they actually do. What allows us to persist in this belief is other people. In the case of my toilet, someone else designed it so that I can operate it easily. This is something humans are very good at. We’ve been relying on one another’s expertise ever since we ﬁgured out how to hunt together, which was probably a key development in our evolutionary history. So well do we collaborate, Sloman and Fernbach argue, that we can hardly tell where our own understanding ends and others’ begins. This borderlessness, or, if you prefer, confusion, is also crucial to what we consider progress. As people invented new tools for new ways of living, they simultaneously created new realms of ignorance; if everyone had insisted on,say, mastering the principles of metalworking before picking up a knife, the Bronze Age wouldn’t have amounted to much. When it comes to new technologies, incomplete understanding is empowering. “This is how a community of knowledge can become dangerous,” Sloman and Fernbach observe. The two have performed their own version of the toilet experiment, substituting public policy for household gadgets. In a study conducted in 2012, they asked people for their stance on questions like: Should there be a single-payer health-care system? Or merit-based pay for teachers? Participants Were asked to rate their positions depending on how strongly they agreed or disagreed with the proposals. 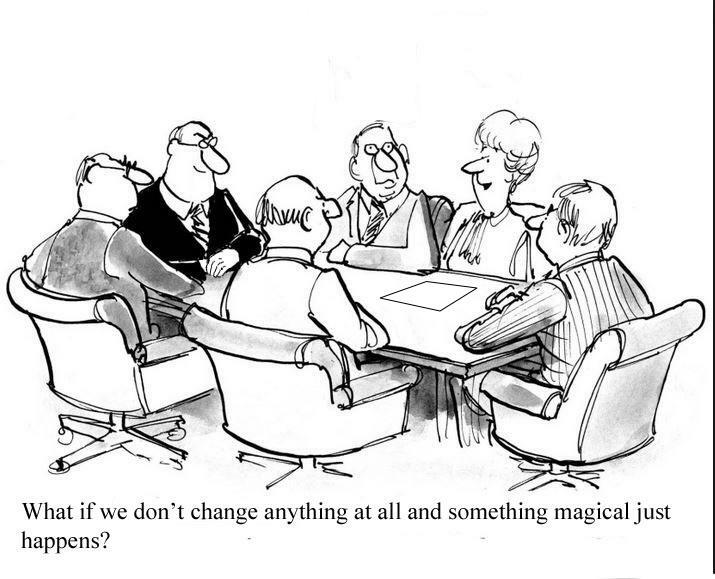 Next, they were instructed to explain, in as much detail as they could, the impacts of implementing each one. Most people at this point ran into trouble. Asked once again to rate their views, they ratcheted down the intensity, so that they agreed or disagreed less vehemently. One way to look at science is as a system that corrects for people’s natural inclinations. In a well-run laboratory, there’s no room for myside bias; the results have to be reproducible in other laboratories, by researchers who have no motive to conﬁrm them. And this, it could be argued, is why the system has proved so successful. At any given moment, a ﬁeld may be dominated by squabbles, but, in the end, the methodology prevails. Science moves forward, even as we remain stuck in place. The Gormans, too, argue that ways of thinking that now seem self-destructive must at some point have been adaptive. And they, too, dedicate many pages to conﬁrmation bias, which, they claim, has a physiological component. They cite research suggesting that people experience genuine pleasure, a rush of dopamine when processing information that supports their beliefs. “It feels good to ‘stick to our guns’ even if we are wrong,” they observe. So now what do I do? Give up? That’s not my style but nor is brown-nosing. There cannot be however much advance towards change without net-working of some sort. But how? One problem is that I do not know of one other person who has suggested Rule changes to the main areas of Rule, Conduct of Play and Penalties, someone I could join with, someone who is unhappy with the way hockey is being officiated, who has said that and will continue to say that. This apparent contentment with the absurd is astonishing to me, that however seems to be the situation. But is it?